Culver Careers is a company which recruits talented professionals with leading industries. 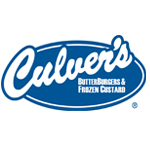 Culver Careers was founded in 1979 in San Diego, California, United States. The company is rated the top among recruiting firms in United States of America by Inavero Research for the year 2013. Culver Careers aims at providing a confidential service between the candidates and client companies. For more than 30 years the company has had an honest and loyal experience, this gives them individuality. Culver Careers through its targeted searches, resources, guarantee, assurance, experience, strategy, quality is delivering the best professional to various fortune 1000 companies. There are currently 0 consumer reviews about Culver Careers available. Share your review. Please take a note that you are about to post a public review about Culver Careers corporate office on CorporateOffice.com. This review will be public, so please do not post any of your personal information on this website. If you would like to contact the corporate offices of Culver Careers, please use their contact information such as their phone number, website, and address listed above to contact them. However, sometimes staff from Culver Careers headquarters do read the reviews on this website.